A look beyond the visible, The Seer's Path explores the life beyond the everyday, tangible world we see. Just beyond what your eyes can see, there is a very real "spirit world." This unseen realm is responsible for many everyday happenings both good and bad. This is why it s vital for you to understand how to activate the seer anointing and begin seeing into the spirit realm. Ana Werner is an everyday person with an extraordinary gift: she can see the invisible world. Through an engaging blend of supernatural stories including encounters with Jesus and revelatory experiences in Heaven and practical spiritual truths, Ana releases a powerful impartation that will help you to see into the spirit realm! Although not all Christians are seers, all believers have received the ability to see into the spirit realm. Learn to see into the supernatural world and experience the wonders of Heaven in your life today!" The Seer's Path by Ana Werner was published by Destiny Image in January 2017 and is our 5042nd best seller. The ISBN for The Seer's Path is 9780768410709. 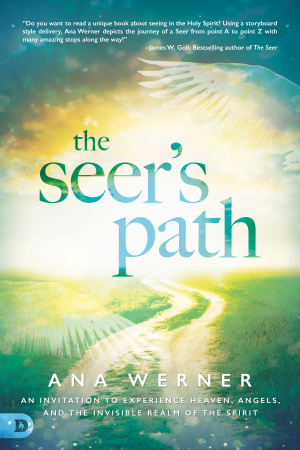 Be the first to review The Seer's Path! Got a question? No problem! Just click here to ask us about The Seer's Path.